Home›Blog›How do you know the service life of PVC lay flat hose? How do you know the service life of PVC lay flat hose? How to calculate the service life of PVC lay flat hose? We need to consider it carefully. Let’s get to know it together. 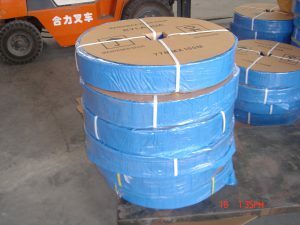 The first calculation method is to see the quality of PVC lay flat hose: judging whether the PVC lay flat hose meets the fire extinguishing requirements can be judged from the aspects of whether the exterior surface is damaged/the caliber and length are matched with the hydrant/whether the inner material is ageing or not. Specifically, it can be compared with the national product standard GB 6246-2011 Fire PVC lay flat hose. It is recommended to replace PVClay flat hose which has been in use for 12 years. In daily management, we can take part of PVC lay flat hose to connect fire hydrant every half year and test its compressive strength and time. 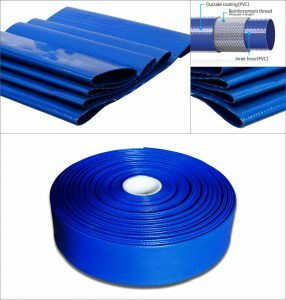 Our country has not stipulated the replacement period for the time being, so it should be timely replaced according to the actual quality situation of PVC lay flat hose products. The second one is that it needs to be tested once a year, and the service life is five years (that is to say, even if it has not been used once, it should be replaced after five years). The previous article：How is micro-irrigation of PVC lay flat hose carried out?